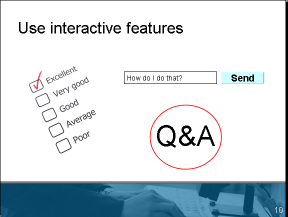 A great way to emphasize and draw attention to an object on a slide is to circle it. Right-click and choose Format Shape. In the Fill section, choose No Fill from the drop-down list. In the Line section, choose a red color and change the Weight. To add the animation, select the circle, and choose Animations tab. In PowerPoint 2007, choose Custom Animation. Choose Add Effect or Add Animation> Entrance> Appear or Fade. Insert a circle over an object. Format the object as just described so that it has no fill. In 2007, choose Custom Animation. In all versions, choose Choose Add Effect or Add Animation> Entrance> Wheel. Play the animation. You’ll see the circle drawn around the object. Let’s go even further. We might want the circle to have more character . Instead, wouldn’t it be interesting if the circle were drawn with crayon or lipstick? 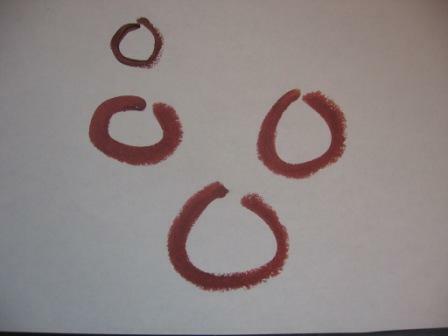 I drew circles with lipstick on a white sheet of paper. I photographed them with my digital camera and uploaded the photo to my computer. I made the background transparent. On the Picture Tools Format tab> Adjust group> Recolor drop-down> Set Transparent Color. Click on the background. 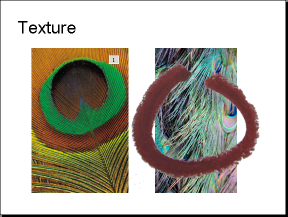 I moved and resized the circle to encircle the object, a photo of a peacock feather. To add the animation, display the Animations tab. In 2007, click Custom Animation. Choose Add Effect or Add Animation> Entrance> Wheel. Click here for a workaround to this animation always starting at the top. Thats a good way of drawing circle. Does this work with Microsoft Powerpoint 2010 also? when i follow the steps in office 2010, the menu options are completely different so maybe it does work but certainly not as is. 1. Holding the shift key, draw an arc (default 90 degrees). 2. Give the arc necessary color and thickness. 3. Make 3 copies of the arc. 4. Change orientation of the copies of the arc by flipping vertically or horizontally so as to obtain one arc for each quarter of the circle. 5. Approximate the arcs together to form a circle. 6. Animate the 4 arcs sequentially, counterclockwise, starting with the 270 – 360 degree arc, then 180 – 270 arc and so on. 7. For the first arc, choose entrance animation with ‘strips’ and then select direction as ‘Left Down’. 8. For the second arc, choose entrance animation with ‘strips’ and then select direction as ‘Right Down’. 9. For the third arc, choose entrance animation with ‘strips’ and then select direction as ‘Right Up’. 10. For the fourth arc, choose entrance animation with ‘strips’ and then select direction as ‘Left Up’. 11. For each of the second, third and fourth arcs, select start ‘After Previous’. 12. A speed of ‘Very Fast’ seemed OK for each of the arcs but can be increased or decreased if required. 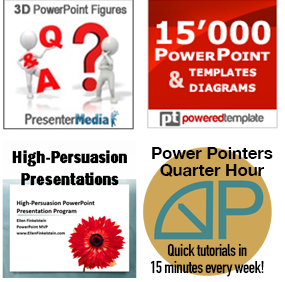 Yes, PowerPoint 2010 changed the animation interface – I’ve updated the post. This is an excellent idea, although it was hard for me to follow, because I wasn’t sure where you started calculating 0 degrees.But once I had the 4 arcs in a circle, I was able to choose the upper-right one and set it to the Left Up option of the strips animation. Likewise, I set the upper-left arc to Left Down, the lower-left arc to Right Down and the lower-right arc to Right Up. I did consistently see a short pause after the first arc’s animation, but the rest went smoothly. I set the first to On Click and the rest to After Previous.